These are sold Meissen Porcelain items. 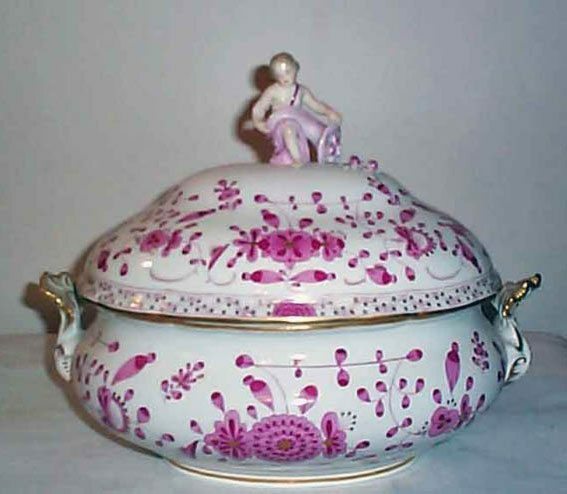 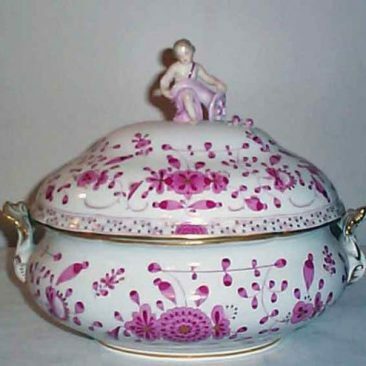 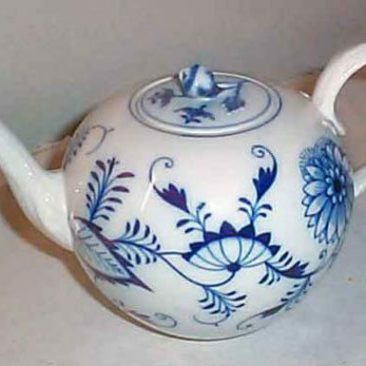 Contact us if you want to request similiar Meissen porcelain pieces for your collection. 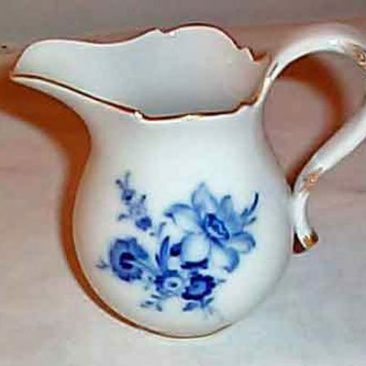 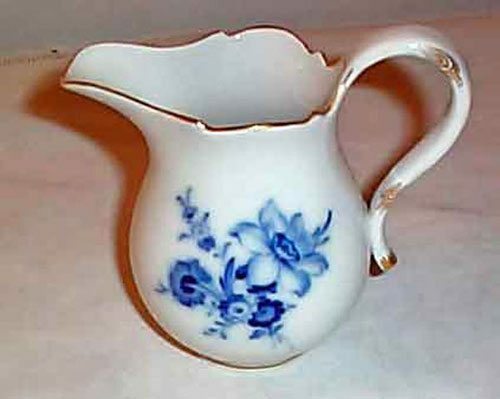 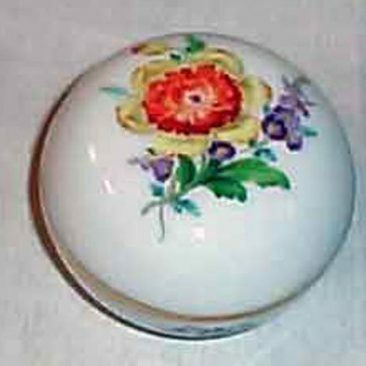 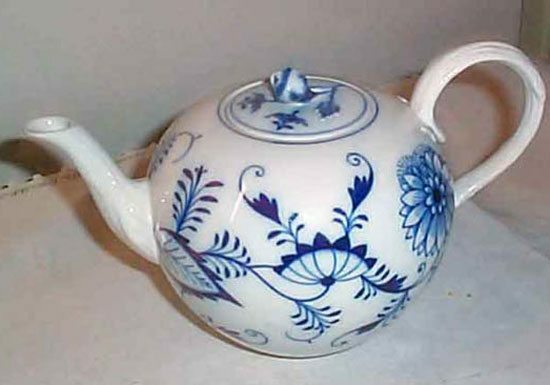 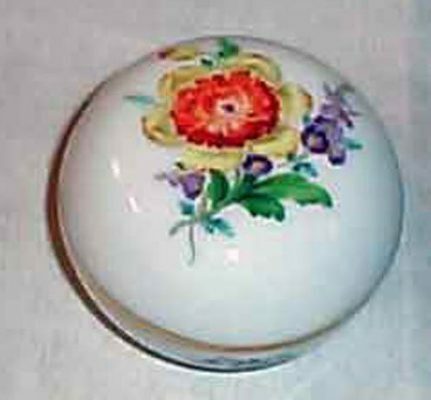 Meissen blue flowered creamer, ca-1953-1957, SOLD We have many different Meissen creamers in many other patterns like streublumen, purple Indian Meissen and blue onion Meissen. 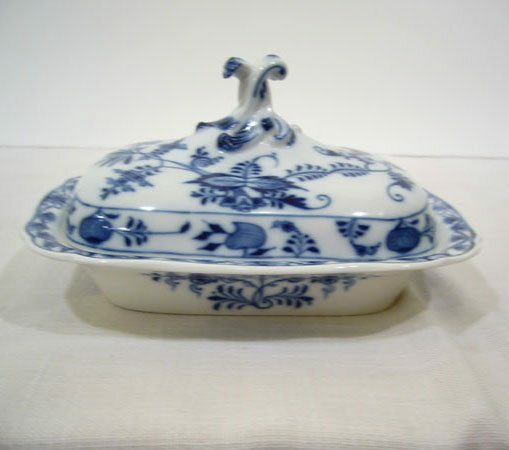 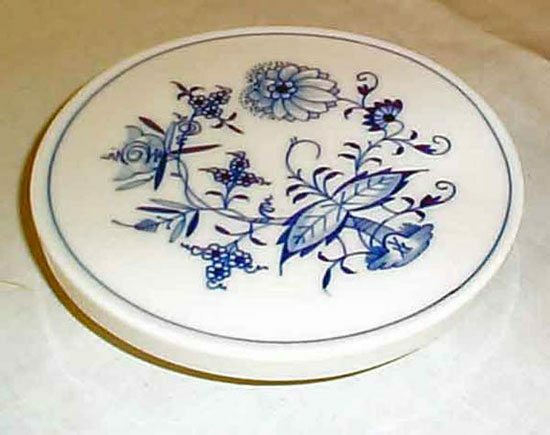 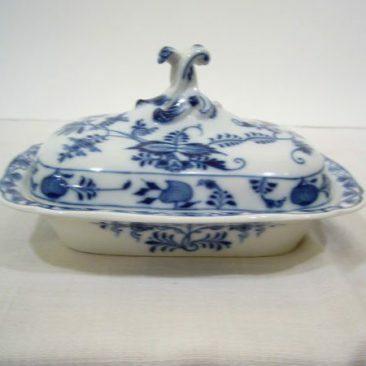 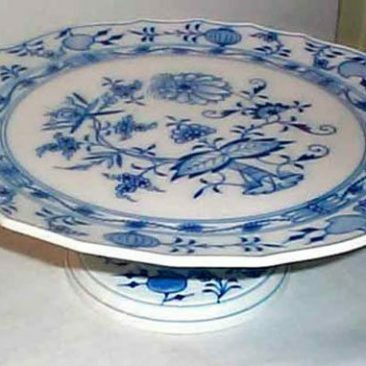 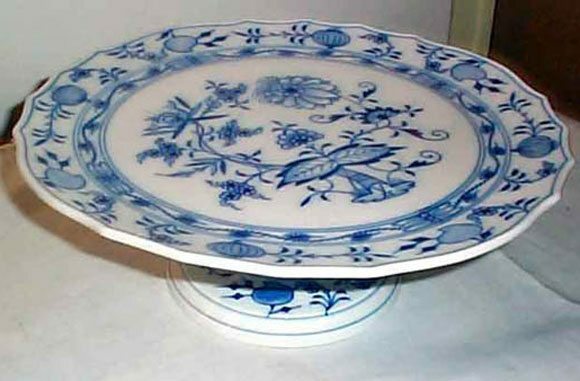 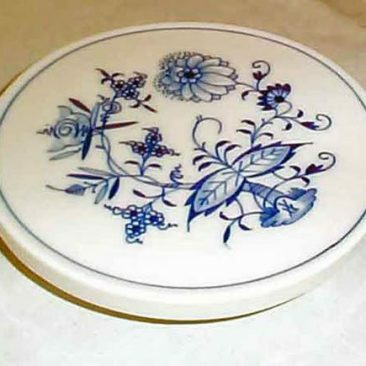 Meissen Blue Onion cake stand, diameter 12 1/2 inches, Sold. 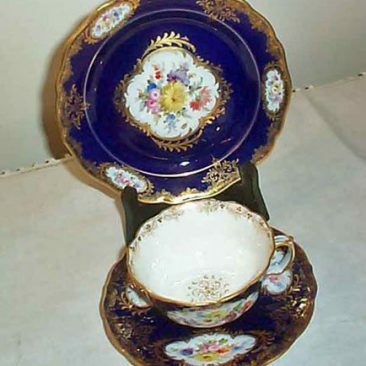 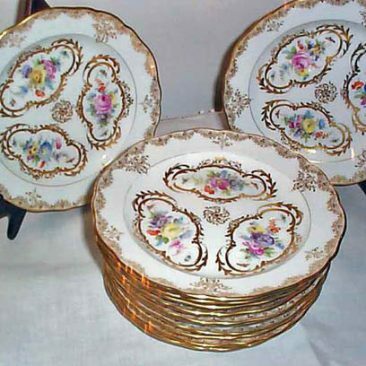 Three piece Meissen cup and saucer and dessert plate, ca -1890s-1900, Sold. 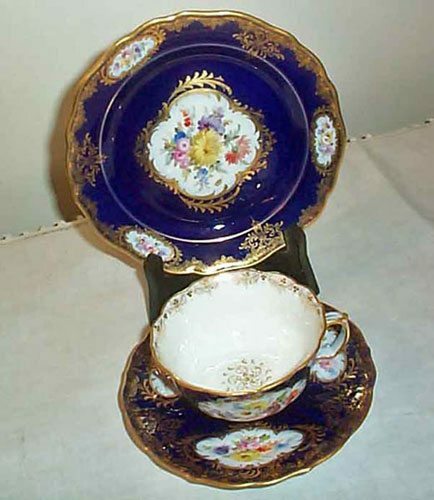 We have many other cups and saucers available. 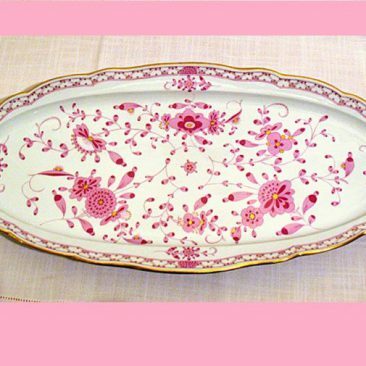 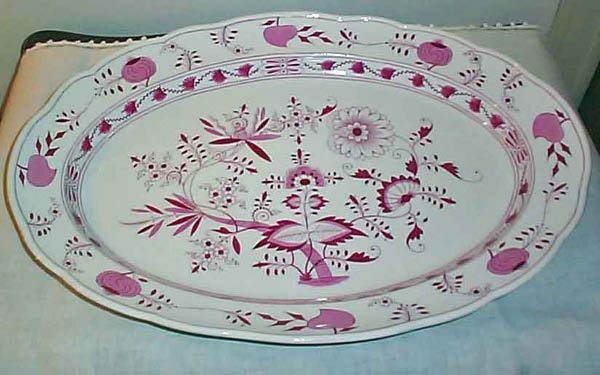 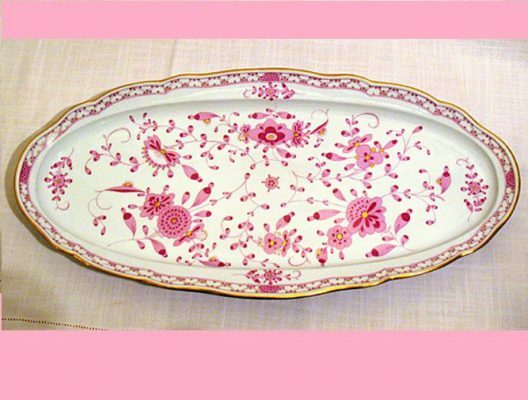 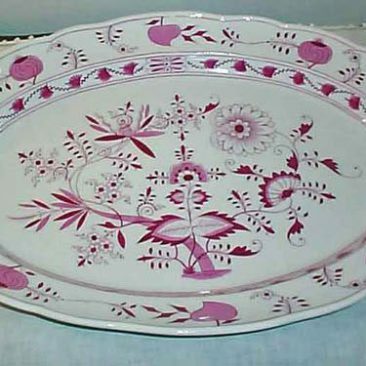 Meissen Purple Indian fish platter, 23 1/2 by 11 3/8 inches, ca-1880s-1890s, Sold. 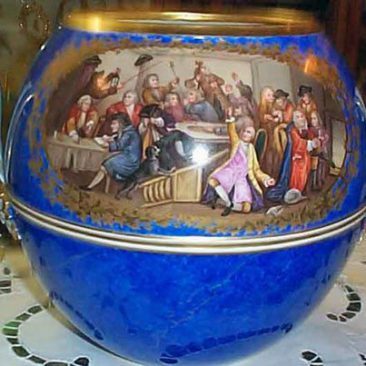 Other side of Meissen punch bowl of the drinking party after Hogarth, ca-1880s-1890s, Sold. 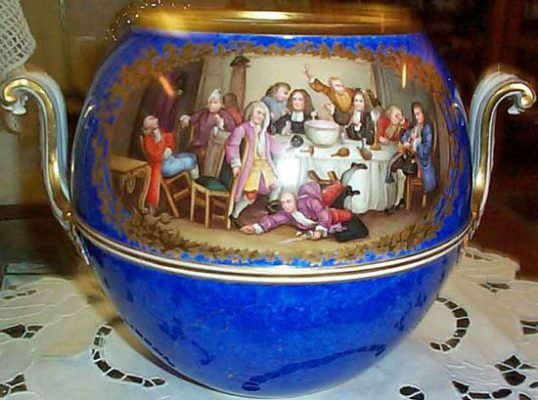 We have many other unusual Meissen pieces. Please look through our Meissen section for rare Meissen items that are available. 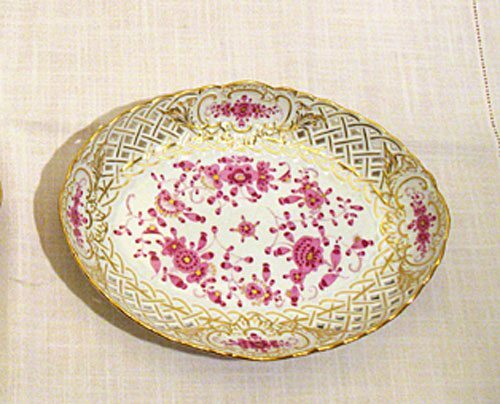 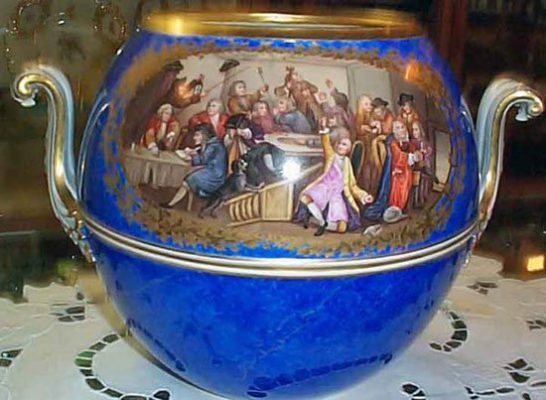 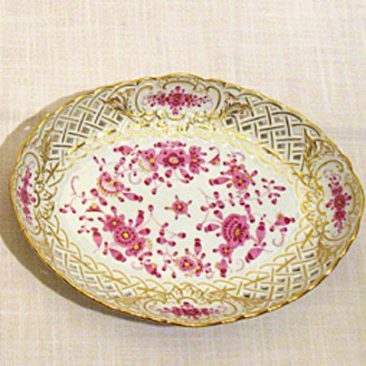 One side of the Meissen punch bowl after Hogarth’s drinking company, ca-1880s-1890s, Sold. 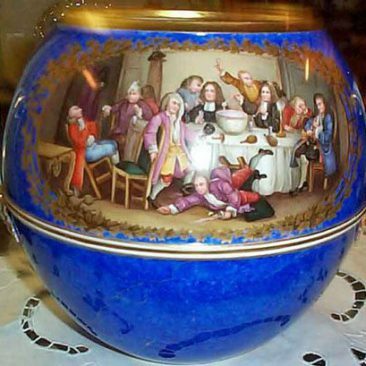 We have many other unusual Meissen pieces. 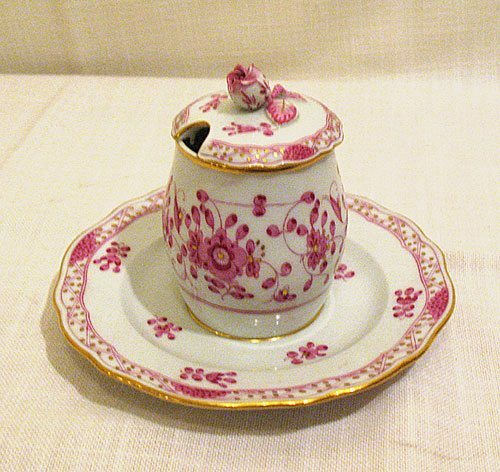 Please look through our Meissen section for rare Meissen items that are available. 12 Meissen cake plates with bugs and flowers, late 19th century, all different, sold We have many other beautiful sets of Meissen cake plates. 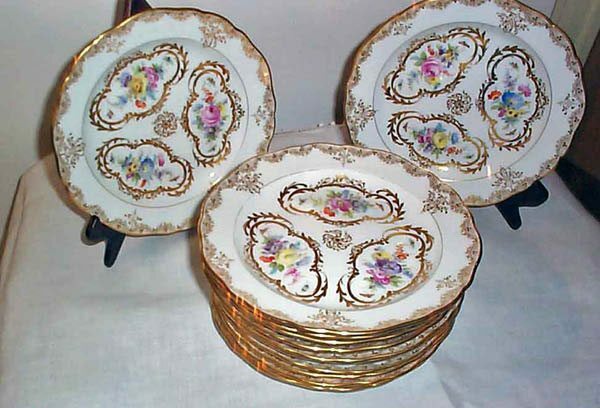 Please look through our Meissen section for additional sets that are available.